I’ve been following this series for a little while now and I do enjoy each of the new stories that come out. I really liked Fanny’s character in this book, though that is definitely not my favorite name for a heroine. David and Fanny were a really sweet couple and their story was definitely romantic. I felt bad for the other girl (Miss Stokes) since she seemed to like David and couldn’t really understand why she was being thrown out of the running. Also – there were a ton of characters in this book, and I had a lot of trouble keeping track of who everyone was, especially with their first and second names being used interchangeably. Other than that though, I did enjoy the book as it was romantic and sweet. I would recommend giving this book a read, along with the rest of the series! There were a lot of things that I did like about this book. The plot line was pretty good – there were a lot of emotions embedded into the writing and there was danger and excitement. It definitely kept me interested and made me want to keep reading the story. At the same time though, I just could not catch on with Ainsley’s character. I thought she was selfish for pretty much the entire book and really just so rude to Royal, who is going out of ANY way to protect her and give her whatever the heck she wants. She was also really quick to push or pull on Royal’s emotions to suit whatever her needs were without enough thought to the consequences sometimes. Obviously everything worked out in the end (it is a romance novel) but I was pretty fed up with her mid-way through the book. And oh my gosh I thought the ending was heart-wrenchingly sad. I lie romance novels mostly because I’m guaranteed a warm and fuzzy, everyone’s happy ending. But this book threw me for a bit of a loop. Other than those things though, I thought this was a pretty interesting read. I’d recommend it. With her betrothal to a duke in tatters and scandal imminent, Diana Kingman has two choices: live in certain ignominy or flee into obscurity. Diana wants solitude. She never wished to wed in the first place. However, her father will stop at nothing to betroth her to one of the finest titles in the realm…no matter how loathsome the bearer. Escape is Diana’s only option, and she’ll pay any price to achieve freedom. Universally blamed for the death of his wife and unborn child, Simon Hastings doesn’t dispute his guilt over an accident he cannot even remember. He hasn’t had a drink since, nor a moment’s peace. Determined to be a better man, Simon rescues a young woman in need—only to be accused of kidnapping. They must marry to save him from prison. But how can a man haunted by the love he lost and a woman afraid to get too close find happiness together? My review: I was provided a free copy of this book in exchange for an honest and fair review. 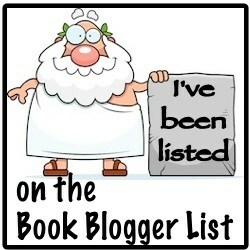 Be sure to check out my BLOG TOUR post on this book as well! I had been looking forward to reading this story since I read the last Untouchables book, The Duke of Ice, where we were introduced to Simon and Diana’s characters. I really liked Diana’s character, she had such a great strength of character and was a really fierce woman. I especially loved that Simon was able to help get her out from under her father’s thumb because – man that guy was a jerk! I also really liked that both Diana and Simon each helped the other to overcome something that was holding them back in life. They seemed to have a true partnership and I really found it to be quite a touching love story. This was a fairly quick read, and though I kind of saw the ending coming it was still a really good book and I would recommend it. I think this was my favorite in the series so far! Willa and Jackson were introduced in previous novels in the Cottonbloom series, Jackson being Wyatt’s twin brother and Willa the auto garage’s only non-Abbott family employee. It took Jackson a while to wake up to the fact that Willa was standing there right in front of him, but when he did she still wasn’t quite ready for all the attention. I resonated with that about her character as I am also not grateful for too much attention. Anyways, so Willa and Jackson finally end up figuring things out and getting together. This was a sweet story and a light-hearted romance and was exactly what I needed right now. I like the series overall, and this was a great story with all our friends from previous books. There wasn’t necessarily anything overly thrilling about the story line but work has been super stressful lately and it was so nice to escape into a sweet and easy love story, especially with it being right around Valentine’s Day. This was a good read and I would recommend it!